Bringing you the new PRO SERIES battery aimed at top line competition.....but with a great price! 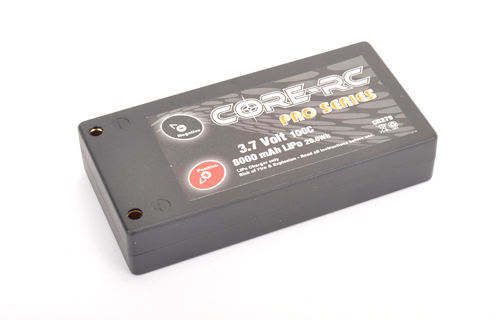 This new 8000 1S 3.7v lipo is rated at 100C so will sure pack an awesome punch! - BRCA Approved - Legal for BRCA sanctioned event use from 1st April 2016.